Sunflower themed cake topper, with a cuddly monkey and penguin! 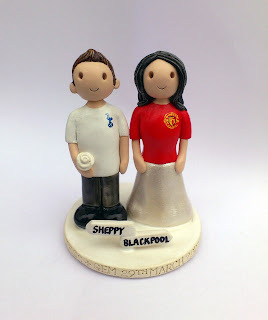 The toys were made to match the brides own toys. 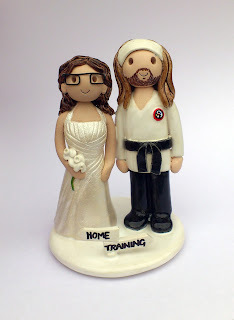 These personalised cake toppers can be wearing whatever clothing you choose, they don’t have to be a traditional bride and groom. 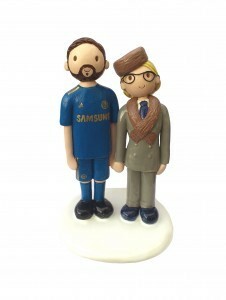 This cake topper is a perfect example of that, a footballer groom and a bride in a suit with a lovely matching hat.